The payment of your tour with Uncorking Argentina represents your acceptance of the following terms and conditions. 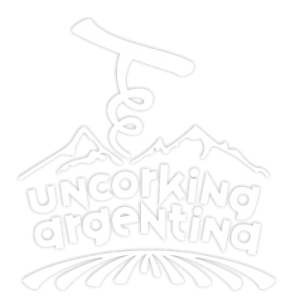 Uncorking Argentina accepts bookings subject to the following terms and conditions. Booking Conditions: For tours starting within 15 days full payment is required. For tour starting more than 15 days after booking a deposit will be required and the remaining balance will be due one week prior to your arrival for credit card payments. In the case of cash payment the balance will be due upon arrival. Tour Deposit: To guarantee your tour a deposit will be required. The amount may vary depending on your tour price and selected payment method. Cancellation and Refund Policy: All cancellations must be in writing. Should you have to cancel your tour after final payment is received, you will be subject to the following cancellation charges. Between 60 and 30 days, we will refund 50% of final tour cost. Between 30 and 15 days, we will refund 25% of tour cost. There are no refunds for tour cancelation within two weeks from the start of your tour. Tour deposits are non-refundable. Cancellation by Tour Operator: Tour operator reserves the right to cancel any tour 15 days or more prior to departure for whatever reasons. In the event of such cancellation, participant will receive full refund of all monies paid. Refund on Land Arrangements: Should you need to withdraw from the tour for any reason, no refund is possible for unused portions of the prepaid package. It is strongly suggested that you participate in comprehensive travel insurance coverage, which would include last minute cancelation coverage. Tour Price: Includes all items as listed in your brochure and is based on fares and exchange rates in effect when published. The tour operator reserves the right to modify the tour logistics and/or price if necessary. Once final payment has been made, rates will be guaranteed. Limitations of Liability: Uncorking Argentina will not be responsible for loss, injury or damage to person and property. Although we strive to select the best suppliers available, Uncorking Argentina will not be liable for any delays, mishap, inconvenience, expense, irregularity, or bodily injury in connection with third party vendors including (but not limited to) transportation, accommodation, meals, tours, or other services. Furthermore we cannot assume responsibility for loss or additional expense due to delay or changes in schedules or events beyond our direct control, including (but not limited to) forces of nature, travel or acts of terrorism. It is your responsibility to disclose to Uncorking Argentina any health conditions or allergies. Responsibility: Uncorking Argentina reserves the right to accept or reject any person as a tour participant, to expel any tour participant from the tour, and to cancel any tour at any time. In the event of exercise of this right, we shall be under no liability to reimburse monies paid. Uncorking Argentina pledges to make every effort to operate all tours as advertised. However, in the case of itinerary changes Uncorking Argentina will quickly solicit alternatives. We reserve the right to modify your itinerary and substitute accommodation, winery visits, activities, and/or conveyances as deemed necessary. Valid Passport is needed. Please reconfirm flight arrival and departure times. We recommend trip insurance.